Sale / promo items are limited to stock on hand. Please contact us for further information on any of the products listed on this page. The Bird Gard Super Pro PA4 produces low frequency sounds that repel larger birds and waterfowl. For more information, visit our Bird Gard PA4 page. 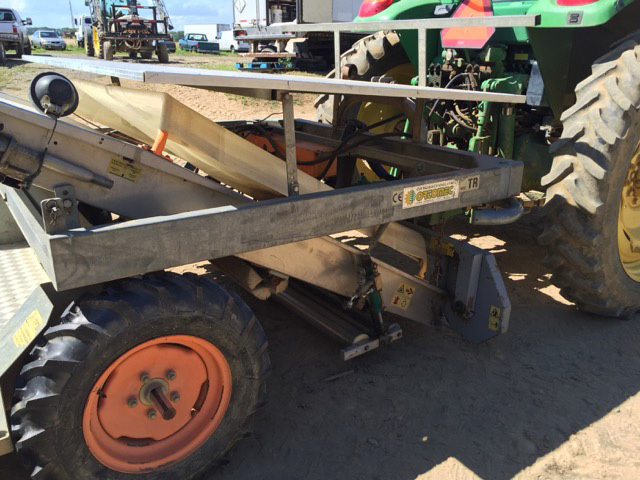 Our very gently used PA4 trial unit is available for purchase at a discounted price. Please call to order; availability subject to stock on hand. 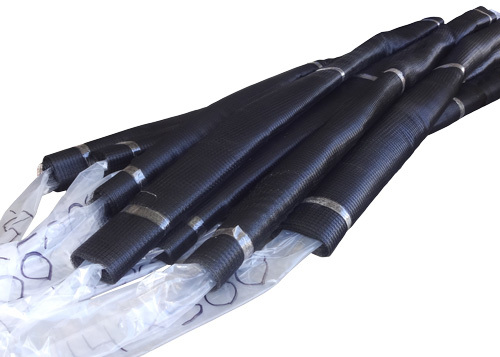 For more information on netting, visit our Cut-Length Bird Net page. 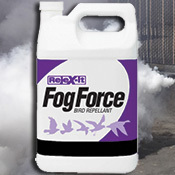 Rejex-It Fog Force Bird Repellent is a fogging agent that's an efficient tool for the management of nuisance birds without harming target and non-target birds or other animals. Fog Force is formulated from the food grade ingredient, Methyl Anthranilate (MA), a naturally occurring compound with reduced risk to the environment. 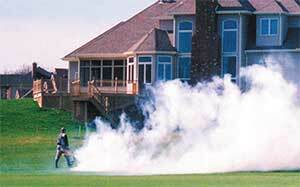 Application method: thermal or mechanical fogger. 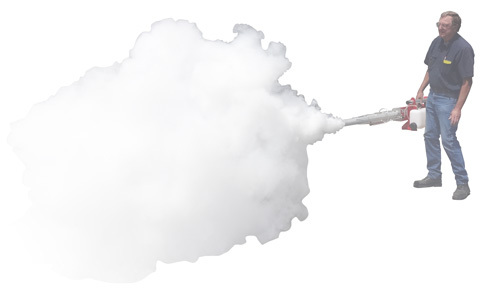 Ideal for application of Fog Force, the Dyna-Fog® Falcon Thermal Fog Applicator easily, effectively and economically dispenses oil based insecticides, fungicides, germicides, disinfectants, odor control and other chemical products. Gently used Falcon thermal fogger includes original accessories. 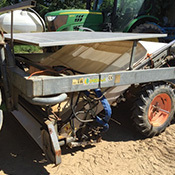 Ergonomic tank design conforms to operators body. 1.5 VDC Buzzer patented microprocessor ignition system with integrated switch. Patented Dyna-Fog Stainless Steel engine and starting system for easy, reliable and consistent starting. Non-pressurized fuel tank system provides quick starting and superior performance. 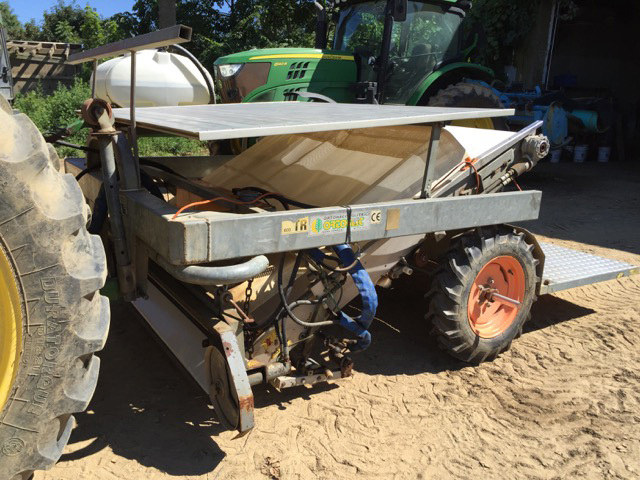 Applicator throws heat, so be sure to keep a distance of 5 to 10 feet to prevent damage to crop or structures. Minimally used; In great condition. Includes all original accessories and instruction manual. Promo items are limited to stock on hand.